The CLP-665GP Yamaha Clavinova is an exceptional digital piano in a luxurious grand piano cabinet. 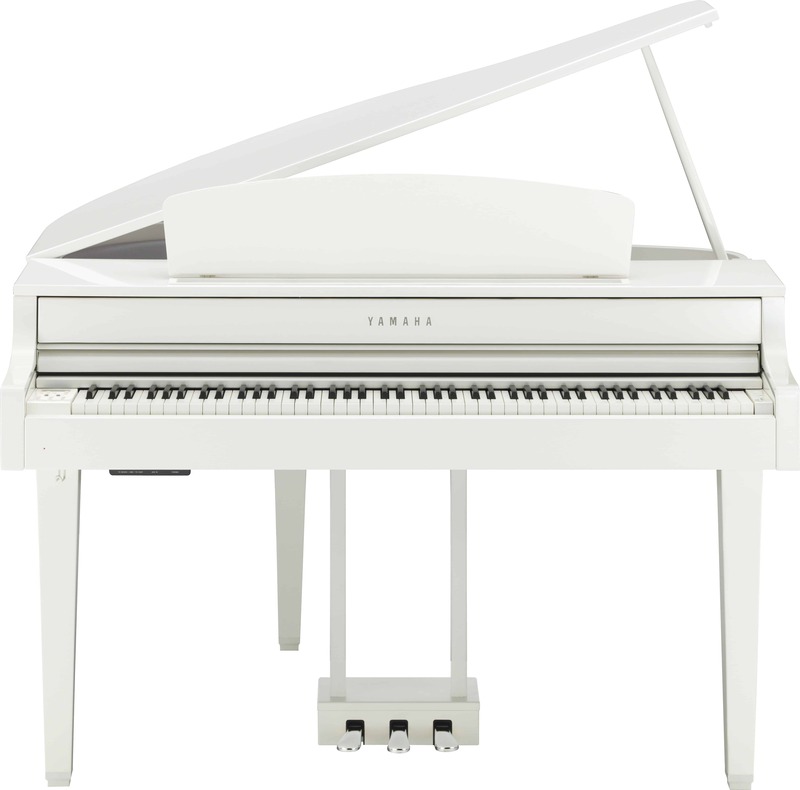 This grand piano-style digital piano boasts GrandTouch Keyboard action emulating premier grand pianos. 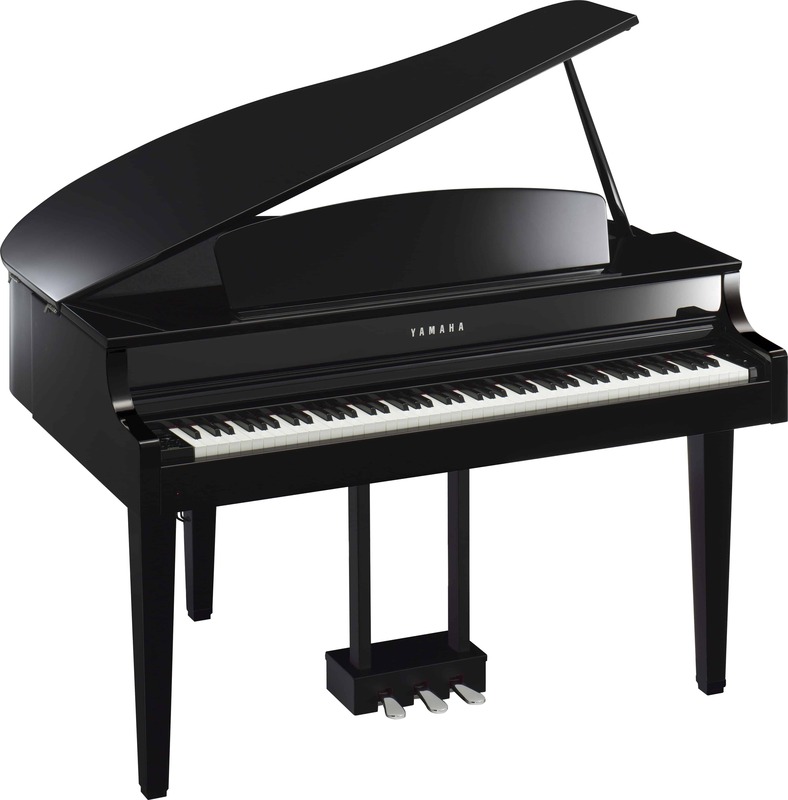 The Yamaha Clavinova CLP-665GP is a high-performance digital piano with the look, sound, and feel of a mini grand piano. 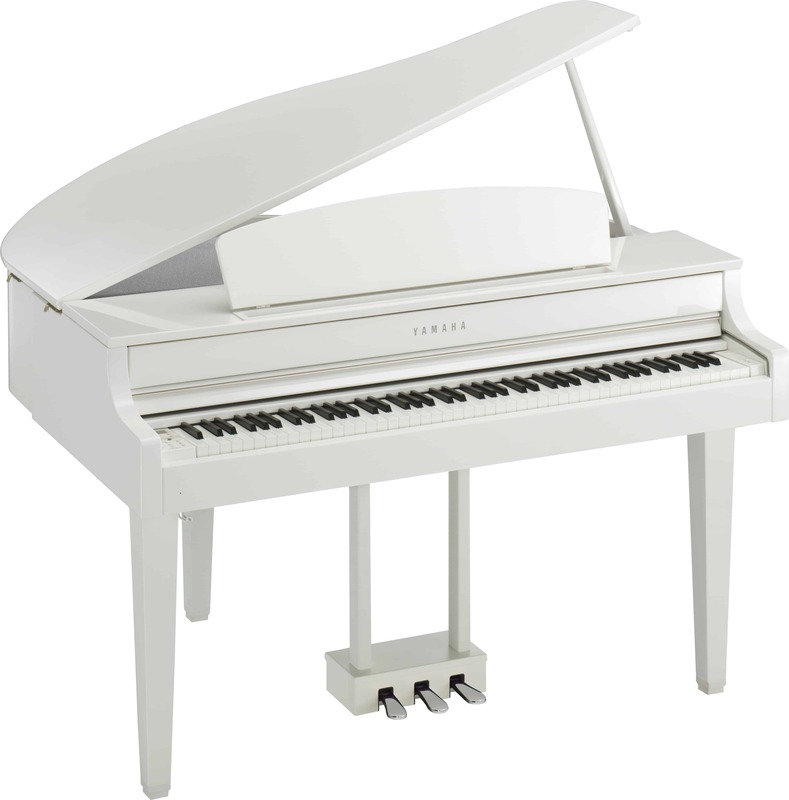 With a depth of just under 4 feet, the CLP-665GP gives piano players the touch, sound, and look of a grand piano in a smaller size and with a wide range of features. The sound of the Finest Concert Grand Pianos – As with all Clavinovas, the CLP-665GP digital grand piano sound is sampled from two of the finest pianos in existence–Yamaha’s legendary 9’ CFX concert grand and the legendary Bösendorfer Imperial in meticulous detail. GrandTouch Keyboard – Unlike most digital pianos that have uniform resistance regardless of how hard or softly the key is played, the Clavinova CLP-665GP digital grand piano simulates true key resistance. When you play gently on the key it will have a light touch; when you play with more strength, the digital piano will have a heavier touch. 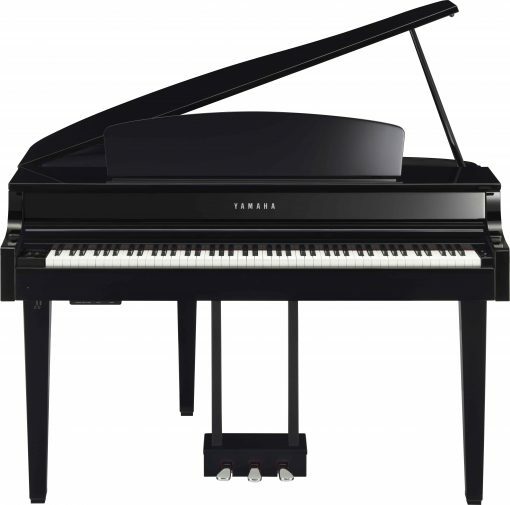 Yamaha truly wanted its digital piano customers to have the most realistic grand piano feel and touch possible with this digital baby grand piano while providing the features and affordability of its Clavinova digital piano line. Virtual Resonance Modeling (VRM) – While traditional grand pianos have the sound reverberating through the cabinet to provide a full and rich sound, most digital pianos for sale don’t have the same effect. With the Clavinova CLP-665GP digital baby grand piano, Virtual Resonance modeling uses calculations of string state, timing, damper pedals pressure, and resonance from soundboard, rim, and frame. This technology allows the digital piano to provide a vivid, bright, and rich voice. Experience the elegant aesthetic and realistic feel of the Clavinova CLP-665GP digital baby grand piano at any of our three Utah Piano Gallery locations.